Rooftops galore, yummy meals, window shopping, September issues on the newsstands… here are some of our favorite things from this weekend. 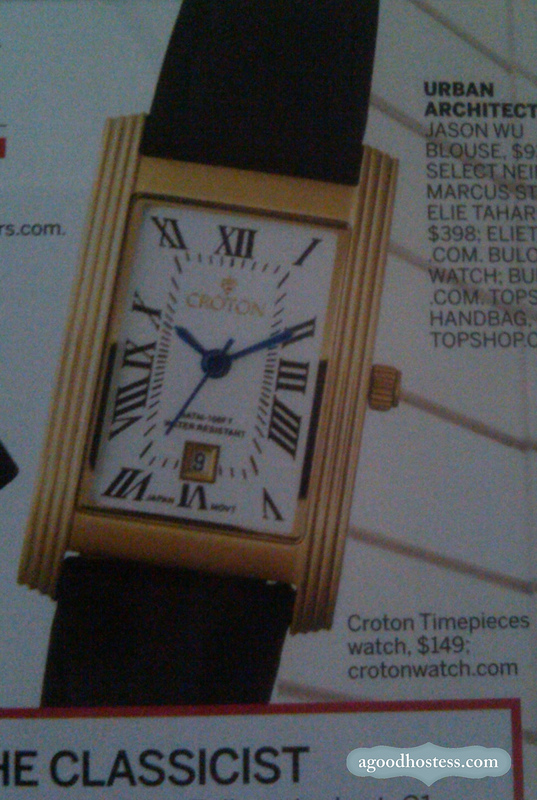 I was immediately drawn to this Croton watch in Marie Claire. It has the look of a Cartier Tank but at a ridiculously better price point. 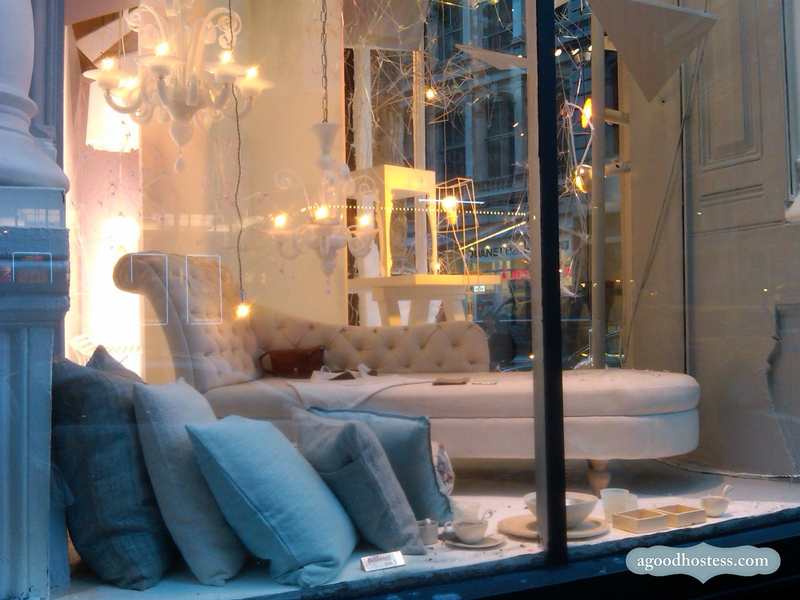 Also not surprised I gravitated toward a collage called "The Classicist." 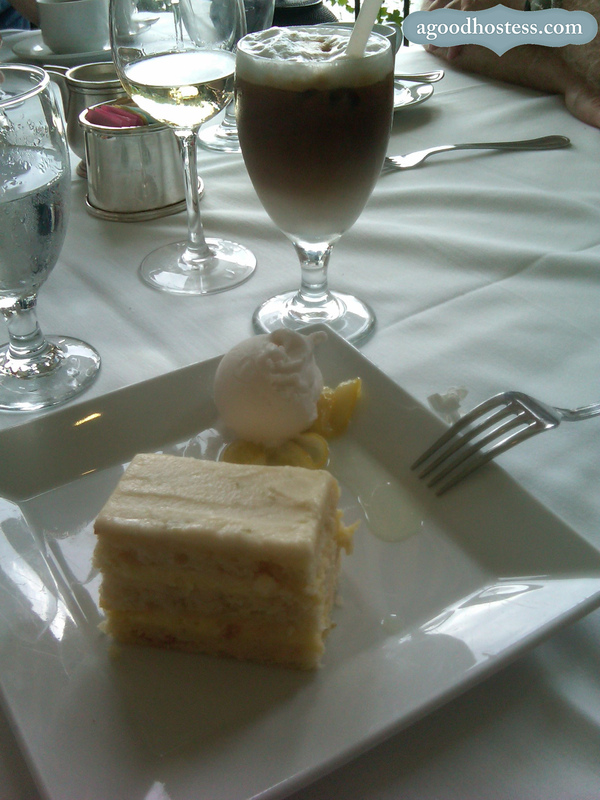 Key Lime Cake with coconut gelato garnish (and an iced cappuccino) at the Central Park Boathouse. Hospitality union picketers created a tense start to the meal, but the food made up for it! 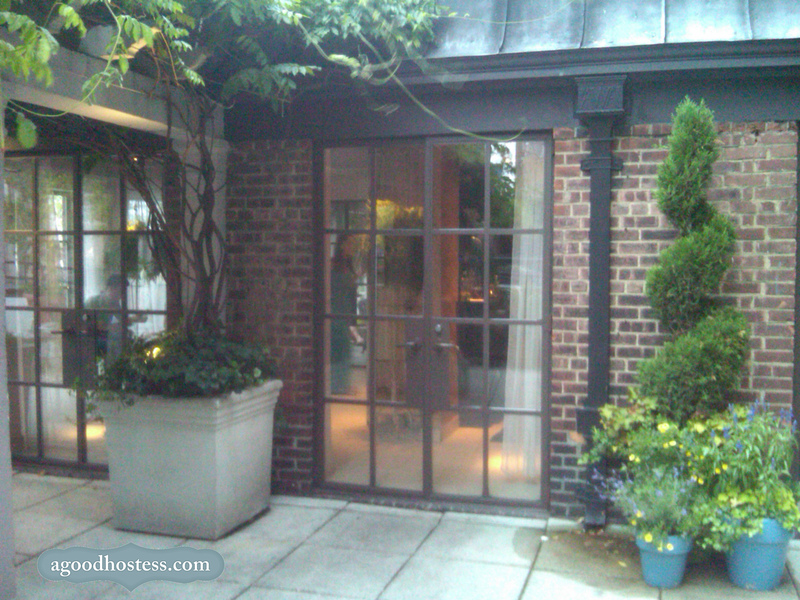 Love the french doors with an industrial feel to them, paired with the vine-covered pergola. 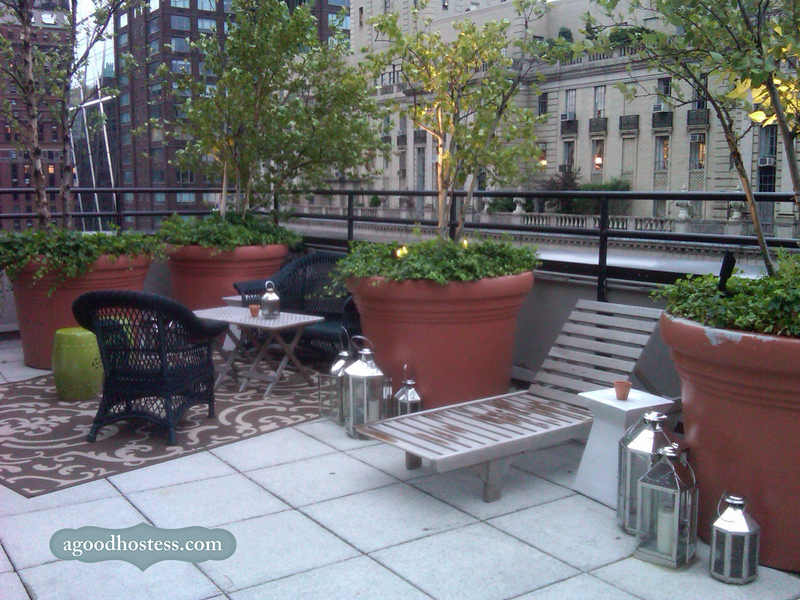 This and the next two photos were taken at the Hudson Hotel Sky Bar (15th floor). Pops of color with flowers, painted pots and a traditional pattern on the Chinese garden stool. Lovely combo of teak, terracota and silver lanterns (especially like the arrangement of these on the ground like that). Total urban oasis. 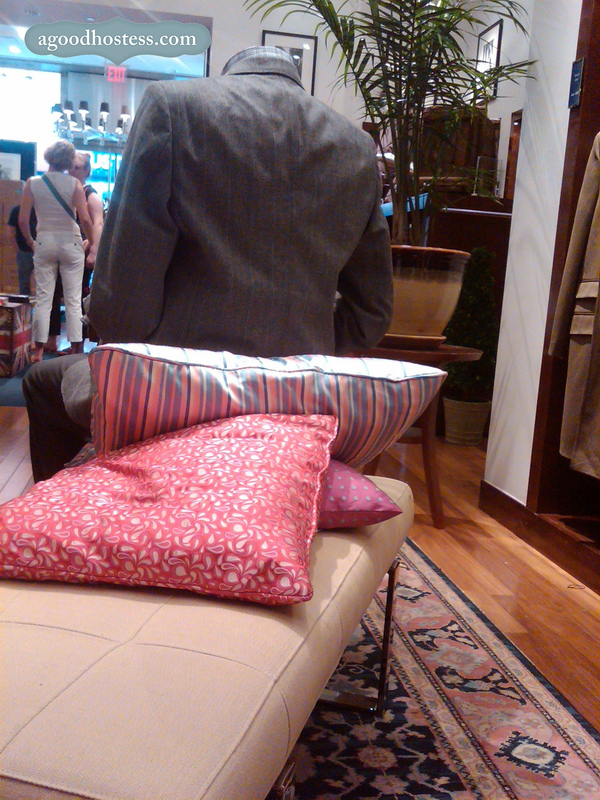 Pillows made from swaths of tie fabric at Charles Tyrwhitt. Ladies, take your boyfriends here. Très dapper. Luxe roof terraces atop the Parc Vendôme. Must be a rough life, cough cough. 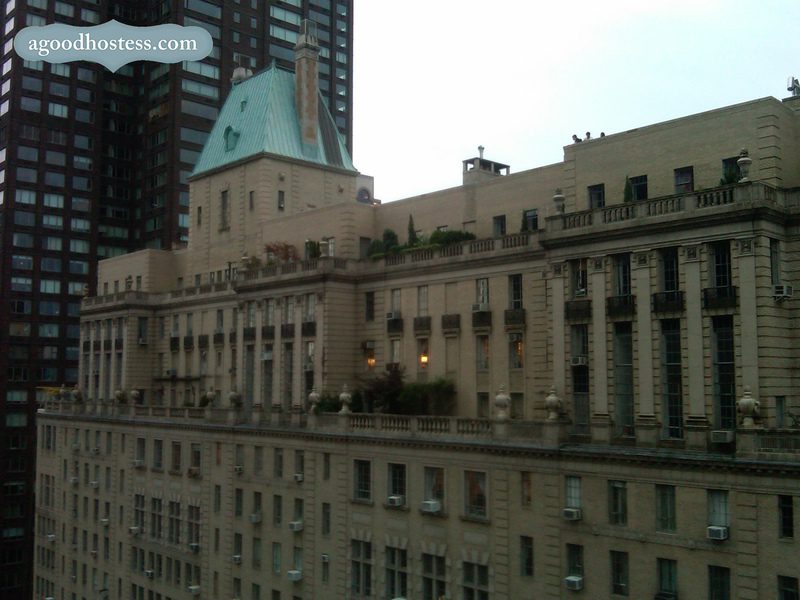 View from Hudson Hotel Sky Bar. 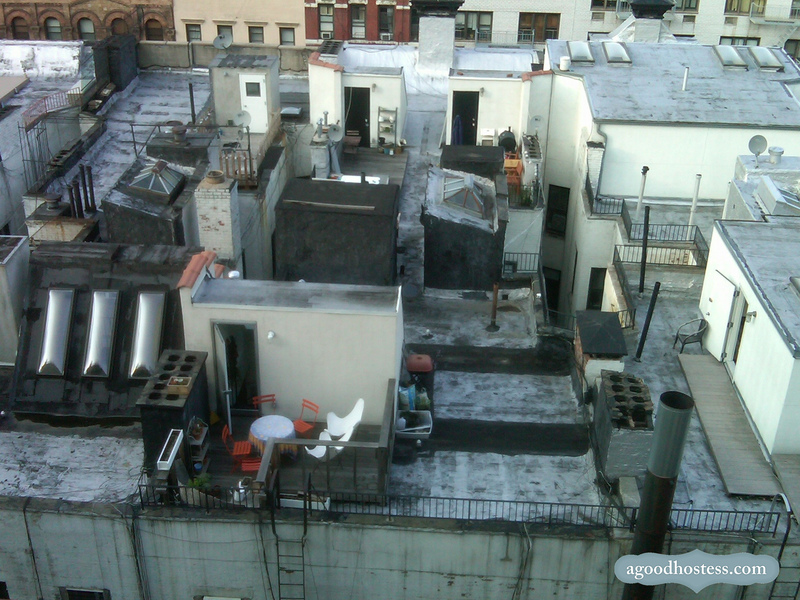 Rooftops are the secret New York. It's fun to see what people do with their tiny (or not so tiny) slices of the sky. 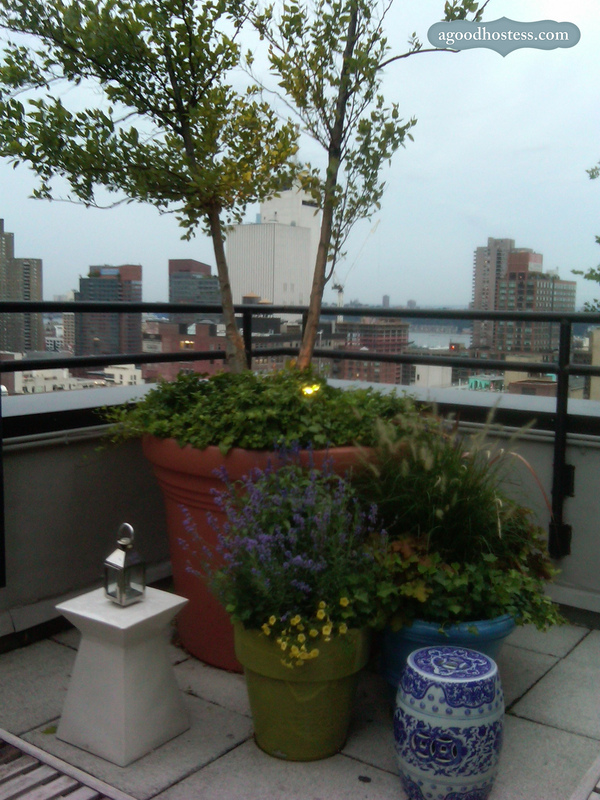 View from a friend's Gramercy rooftop. 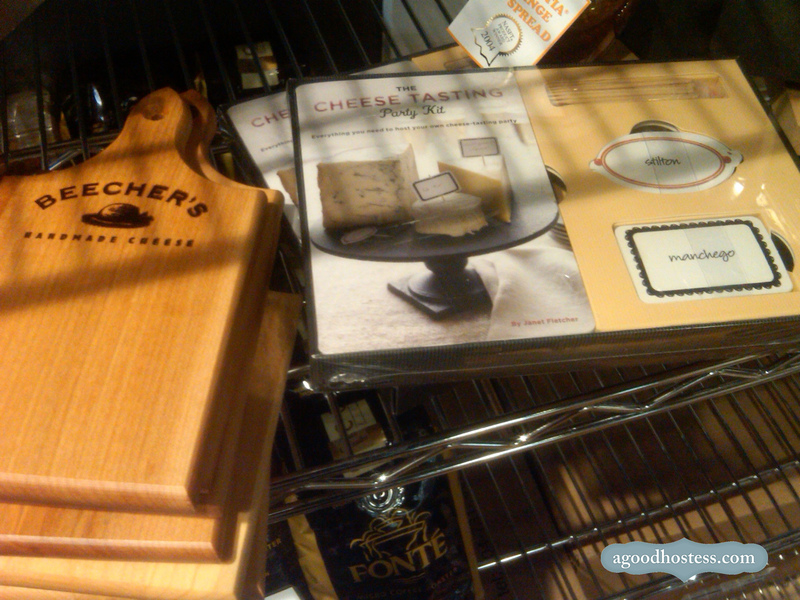 Fun gift ideas at Beecher's Cheese on Broadway (wish I had more time to stop for some of their mac & cheese). Cheese board + Cheese Tasting Party Kit from Chronicle Books.